The order doesn’t follow the level succession precisely as lots of songs are repeated in later stages. They are mixed in a way that the soundtrack doesn’t become boring due to hearing the variation of the same song over and over again, while still respecting the order of the levels of the game as close as possible. The track titles are, obviously, unofficial and refer to the name of the levels they are played in. 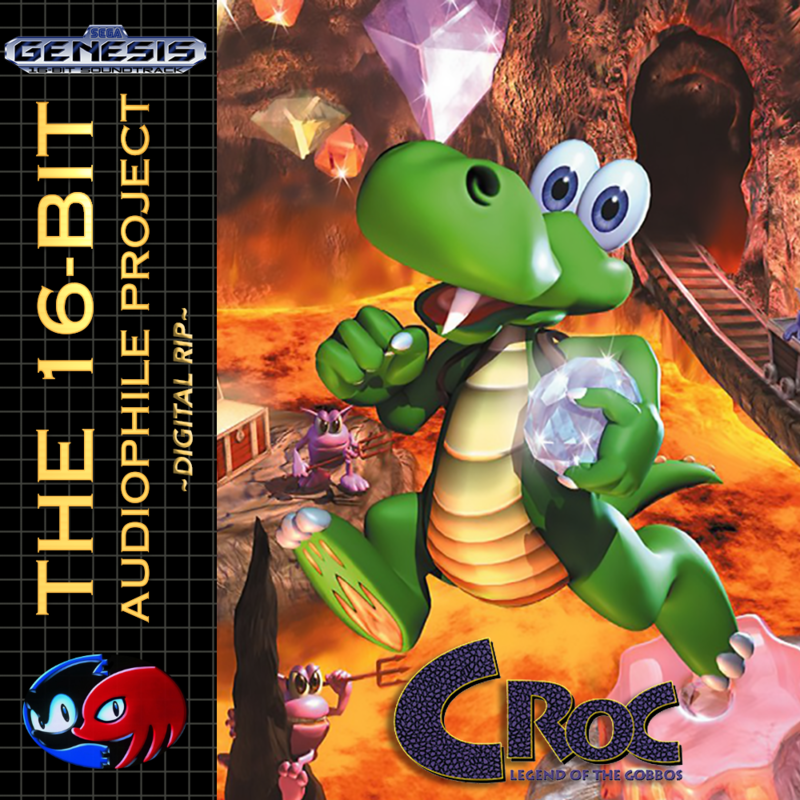 At the time of writing, 2 December 2015, this is the only complete lossless soundtrack of Croc: Legend of the Gobbos on the web which has been digitally ripped from the Playstation disc instead of recorded through line-in or ripped from the CD Audio tracks of the PC or Saturn version. Actually, I’m not even sure if there are other lossless soundtracks of this game available on the net, I could only find MP3s and Youtube videos and even most of these are incomplete, as the complete soundtrack has 67 tracks total, most only have 64 or fewer. Sadly, an Official Soundtrack for this game was never released (but Croc 2 has one!) so this is the closest we’ll ever get to a proper OST. Figuring out which song was which and on which level was played was incredibly time consuming along with research on file formats, conversions and other stuff. Interestingly, the Playstation audio files were encoded at 37.8Khz which meant I had to recode them to 44.1Khz so that all PCs and CD Players could correctly play the soundtrack. The 3 tracks from the PC version were 22Khz and had to up them as well. All conversions were done with SoX without dithering or any kind of filter to retain the original sound without coloration. Even with careful listening they are undistinguishable from the original files.